With thoughts of the Millennium and 2000 years of Christianity to celebrate, our Church wished to commemorate the occassion with something special. 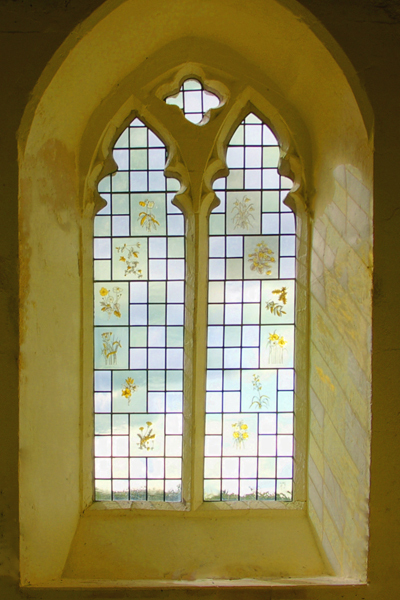 The idea of a new West window in the tower was born and it was decided that it would feature wild flowers to enhance our very rural "Church in the Fields". There would be a series of 12 panels arranged in a mandorla shape running clockwise with the months. 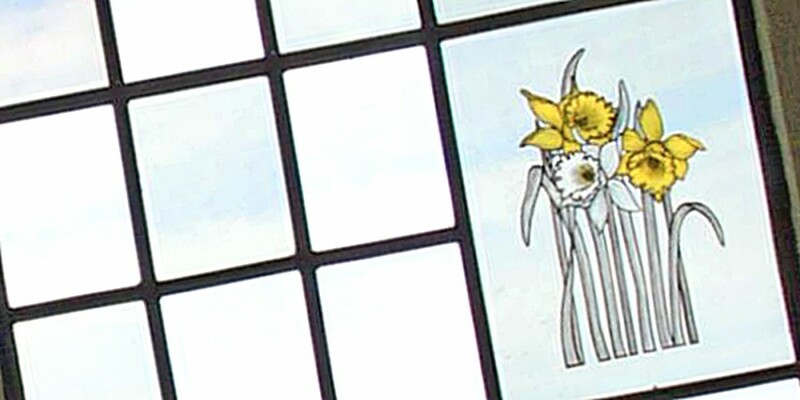 Each panel would feature a simple drawing of plants with religous significance and be in a muted pallette in keeping with the age of the Church. It would also feature all our national floral symbols. Fund raising took place throughout the millennium years and was greatly supported throughout our villages. We were able to commission Tina Wiley of Norfolk Stained Glass to illustrate the create the panels. The colour is all stained in and will last for many hundreds of years. It took quite some time before it was able to be installed but is now one of the most loved features of our Church. More detailed pictures of the panels can be seen by clicking on the link below.